They say a picture is worth a thousand words. Freezing time for just that one moment is what makes photography such a powerful art form. Dr. Michael Dibari, Jr., a professor in the Scripps Howard School of Journalism and Communications, has mastered this art by creating his latest project. 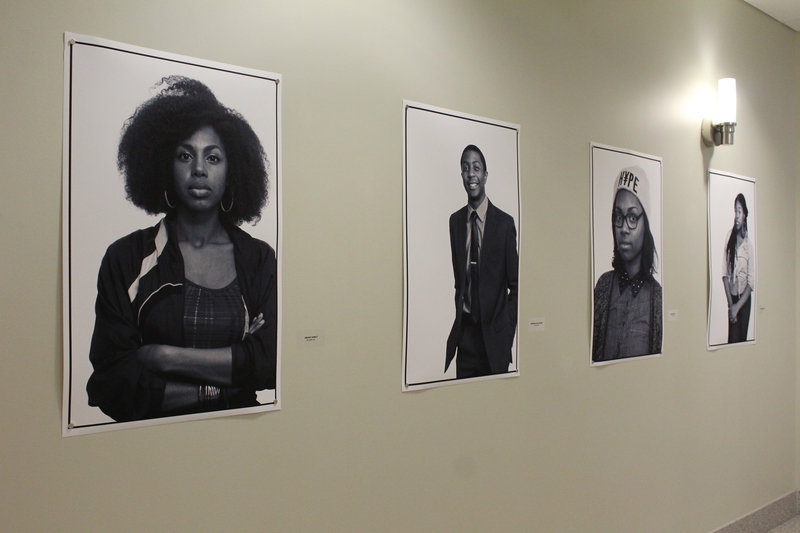 His recent work of art is called “Breaking Stereotypes” featuring portraits of Hampton University students. Alongside each portrait, Dibari features quotes from the students stating what and where they aspire to be in the next five to ten years. Along with being beautiful, this masterpiece also sends a powerful message. Dibari’s inspiration for the project comes from the fatal shooting of Trayvon Martin. “After Trayvon was shot in 2012, it was my second semester teaching at Hampton University, and he was the same age as a lot of my students and I felt as though he could have been one of my students. I wanted to be able to bring something positive out of such a tragedy,” said Dibari. While putting the art exhibit together, the most memorable moment for him was the printing of the pictures. Dibari says it was amazing seeing how the pictures looked once they were big and blown up. Another was during opening night of the exhibit when almost all of his Hampton University colleagues came to support him and his work. Dibari has had a passion for photography from a young age. While in high school, Dr. Dibari took a photography class, and he found he really enjoyed working in the dark room where he was able to develop his own photographs. “I was an average student in high school,” Dr. Dibari admits, “And to help motivate me to do better in school, my father promised me that if I made straight A’s, he would build a dark room for me in our house.” Dr. Dibari accepted his father’s challenge, by earning straight A’s, and gaining his very own dark room. From there on his enthusiasm grew. Dibari went to college and received his Master’s degree in Visual Communications. He then became a news photographer for 20 years. Dibari went back to continue his education and received his PhD in Journalism from the Ohio University Scripps School of Communication. Dr. Dibari’s photographs have been published in top newspapers including The Washington Post and The Los Angeles Times. Dr. Dibari’s solo exhibition is located at The Transit Gallery is located on the 2nd floor of the HRT Southside Operations Facility, in Norfolk, Virginia and will be on display from now until April 22.